April 27th from 9:00-11:00 in the NPE Cafeteria. First grade is holding a Zumbathon in honor of Alma Garcia. $5 donation to participate. All proceeds go towards purchasing books for the NPE library in Alma's name. Our Library will be holding a spring book fair the week of April 29th. Monday, Tuesday, Wednesday, Thursday 8:00-4:00, Friday 8:00-12:00 and Late night Thursday from 5:00-7:00. Our Student Leaders will be selling Smencils and Smens on Thursdays after lunch. Smencils will cost $1.00 each and Smens will cost $2.00 each. We will no longer have a staff member assisting students walking from the back walker area in the mornings. School will be closed on these dates. April 1st-18th Please Support Pennies for Patients! Naomi Pasemann Elementary is participating in The Leukemia & Lymphoma Society's (LLS) Pennies for Patients program; a service-learning program that gives students the unique experience of working together to help raise awareness and funds in honor of thousands of children and adults fighting against blood cancers! We are asking that everyone (students, faculty, parents, alumni, etc.) at Naomi Pasemann Elementary join in this effort of raising awareness and collecting funds to benefit the mission of LLS: to find cures for blood cancers and to improve the quality of life for patient and their families. 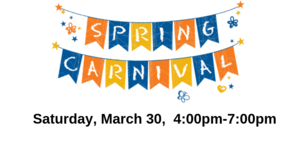 NPE will be having our 2nd Annual Spring Carnival on Saturday, March 30th from 4:00-7:00. 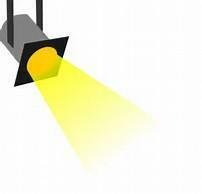 Look for more information coming home soon - earlybird tickets, auction basket donations. Fun for the whole family. Come celebrate Mrs. Naomi Pasemann and all she has done for Taylor ISD. 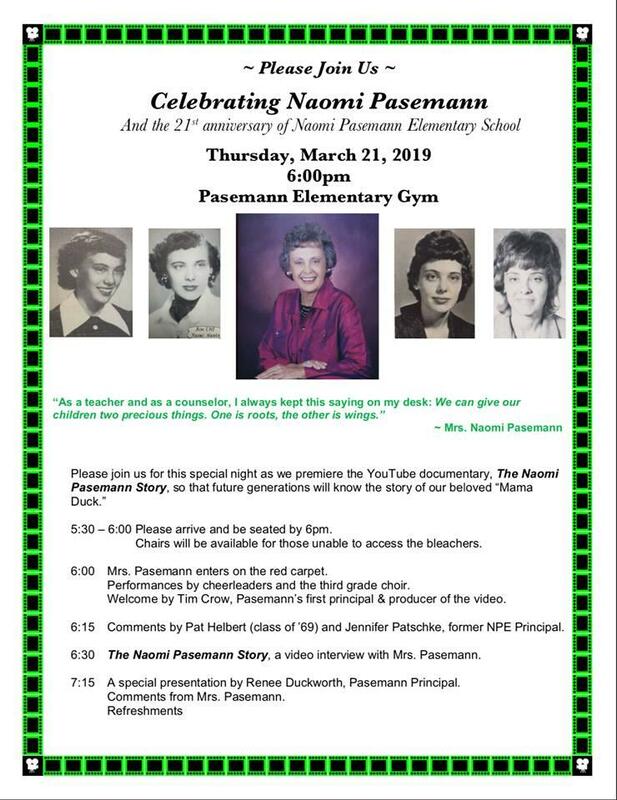 We will have a special night as we premiere the YouTube documentary, The Naomi Pasemann Story. click on link for all the details. Parents may park in the back parking lot by the cafeteria and enter through the cafeteria doors. Parents will not be allowed to enter any other part of the building which means you will not be allowed to go to your child's classroom.